Geek Advertising with SUPERflix Movies. We have a targeted and engaged audience. We're looking for targeted GEEK Ad partners that add value to our reader's experience. Advertise to a targeted and engaged audience directly. Our ads are designed to offer various visibility and size options. Affiliate advertising directly in our buzzing social feeds. 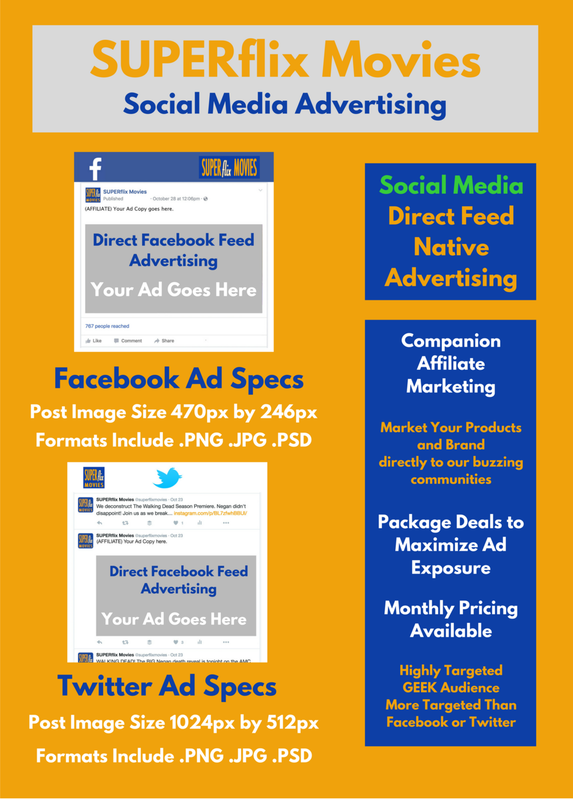 Facebook and Twitter feed options to effectively advertise products for our followers. A member of our Ad Team will email you pricing soon.